Novosibirsk, Russia: April, 1, 2019 – LEDAS, Ltd., a leading provider of research and development services for the CAD/CAM/CAE/PDM software industry, today announced that for its 20th anniversary it has relocated to brand-new offices in the Academpark office park of Novosibirsk, Russia. LEDAS began in 1999, gaining extensive experience over the next two decades from implementing dozens of software projects. Over the years, LEDAS worked on technically advanced geometric engines, such as LEDAS Geometric Solver and a 3D geometric kernel. Today, LEDAS offers a broad range of expertize in computer-aided design and manufacturing (CAD/CAM). The largest and most significant project involved LEDAS cooperating with Dassault Systemes. The work spanned 12 years, developing components for Dassault’s CATIA CAD program and GCM kernel. The project deployed expert programmers and mathematicians at LEDAS in developing a state-of-the-art geometric constraint solver for the world’s largest CAD software company. New areas of expertize launched by LEDAS in past five years include the use of CAD in medicine (particularly in dentistry), in building information modeling (see BIM), operating CAD in the cloud (see LEDAS Cloud Platform), and further projects in many other areas of CAD/CAM. During the last five years, LEDAS tripled its revenues and diversified its business by landing more customers in different markets and in new geographic areas. LEDAS begins its 21st year by working on 20+ CAD software projects for more than a dozen customers in the USA, Europe, Russia, and China. The fastest growth is in the USA, where LEDAS enjoys its largest share of revenue at 40% to 50% last year. 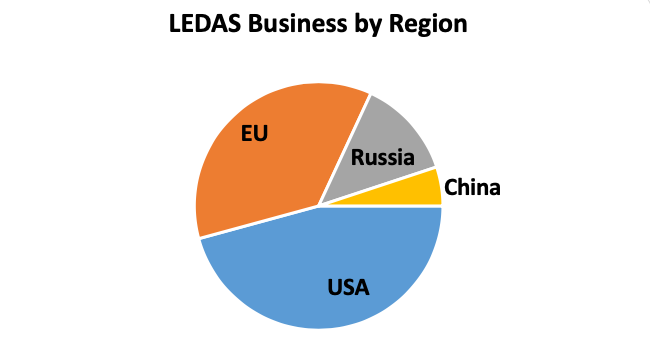 The former #1 market, Europe, is now the second largest market for LEDAS, with 30%-40% of revenue. Russian customers are in third place with 10-15% of revenue, and China generates 5% for LEDAS. 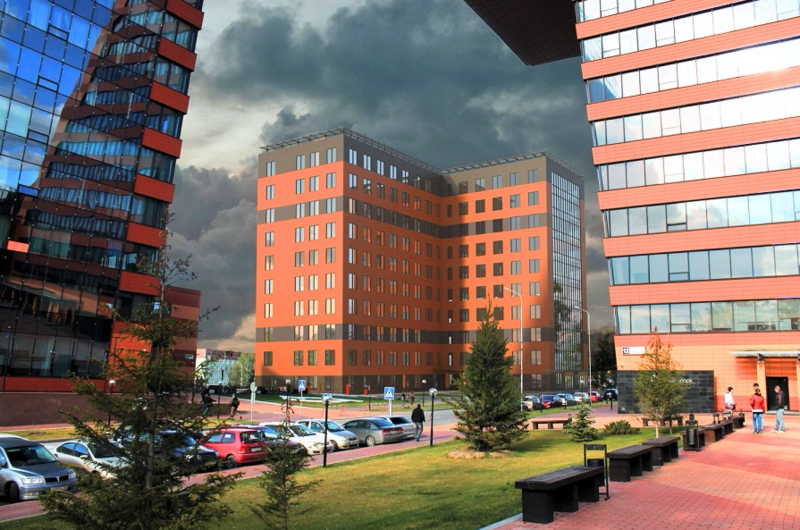 Recently LEDAS made an important investment by acquiring a new headquarters at Academpark’s Center of Research and Development, a top Russian IT hub, and has now moved into the offices. The new facility also gives LEDAS the stability of ownership, as the company owns the entire floor of the newly constructed building at Academpark. Having the new office provides LEDAS with great opportunities in expanding its business and carrying out its high quality work more efficiently for existing and new customers. LEDAS is a worldwide leader in providing of research and development services for the CAD/CAM/CAE/PDM software market. Choose LEDAS for your CAD software project. Begin your consultation by visiting us at www.ledas.com.